Unions are about a simple proposition: By joining together, working women and men gain strength in numbers so they can have a voice at work about what they care about. 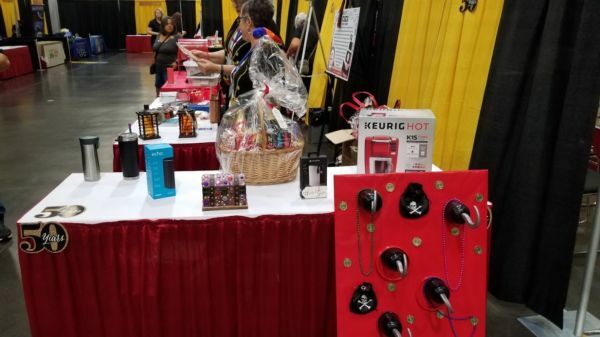 They negotiate a contract with their employer for things like a fair and safe workplace, better wages, a secure retirement and family-friendly policies such as paid sick leave and scheduling hours. They have a voice in how their jobs get done, creating a more stable, productive workforce that provides better services and products. The AEU Chief Steward South position was vacated when Gary Snyder was elected to Vice President South. 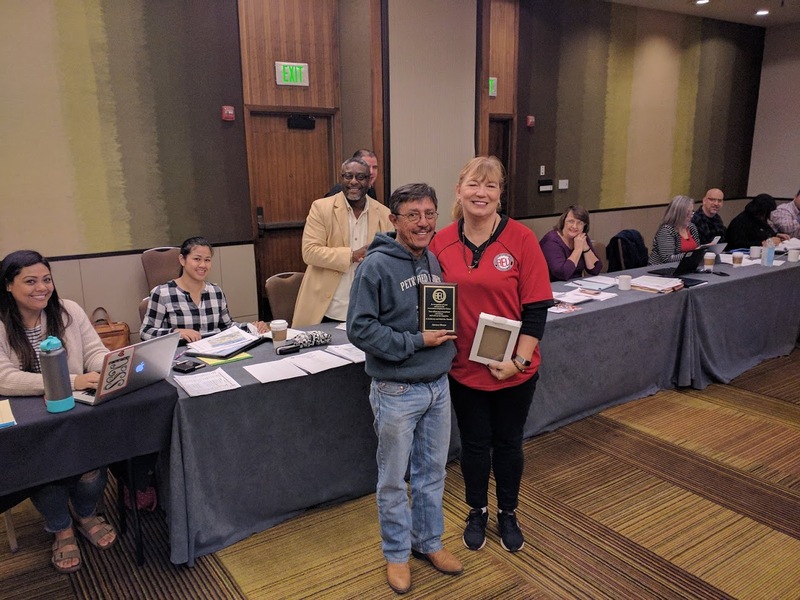 AEU has concluded the election process and Juan Flores from the San Diego Field Office is the duly elected Chief Steward South and will continue for the rest of the term of office. AEU Releases A Mobile App! All login information for the mobile application is the exact same as the website. Please only install this mobile application on your personal cell phone and not any employer based cell phone. The AEU Executive Board has voted to give all AEU members who install the application a gift card as a way to say thank you! Make sure you allow Push Notifications if asked; we promise to use them reasonably! We will be sending out information soon (via our first push notification!) on how you can collect your gift card from AEU. AEU will be updating the mobile application regularly, make sure you allow app updates. Account Settings - Members can update their personal AEU account settings directly from App. If you have any questions, concerns, suggestions, or issues with the mobile applications please email AEU Secretary/Webmaster Michael Breyette at mbreyette@gmail.com. Click Read More To Volunteer for the AEU Mobilizing Team! Good Afternoon, AEU's new smartphone application is nearing completion. More information will be forthcoming soon regarding the roll out, until that time we've attached a quick peek of the design to this post! 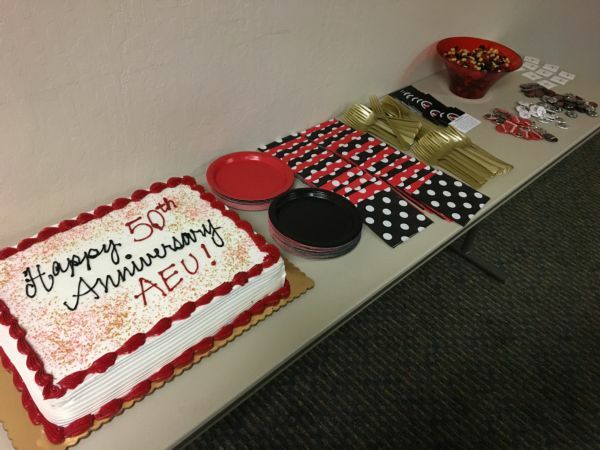 As we finalize the application we are looking for AEU photos to use in the upcoming AEU photo gallery, and for potential use in the application itself. Please see the attached agenda for AEU Conference. Thanks to everyone who particpated in the 50th anniversary recognition in HQ! Please see the attached correspondence to CSEA regarding the new AEU Bargaining Team. The Vacation Tentative Agreement has Ratified! Questions and answers will start at Noon, and the ballot box will be open at the conclusion of the Q&A, and close at 2pm. If the TA passes, vacation requests will be turned in on March 15th instead of April 15th. If you have any questions, please feel free to contact any bargaining team member. Hello everyone, Yesterday the AEU Bargaining team met with CSEA to finish the vacation article we set aside from negotiations last year. Attached is the tentative agreement. We agreed to move the vacation selection date from April 15th to March 15th in order to have more time for approval for anyone wanting to take vacation in early June. Attached is the tentative agreement for the realignment effects negotiations that occurred yesterday on October 4, 2017. If you have any questions, please ask any bargaining team member. Please attend the ratification meeting and exercise your right as an AEU member to cast your vote! Your AEU Bargaining Team recommends a YES vote on this agreement. We look forward to seeing you in Visalia on October 29, 2017! Patty Truskoloski has retired from CSEA and unfortunately, she has also resigned as the AEU Treasurer. In the interim and until our next election, Jessalyn Ka, out of the River Delta Field Office has been appointed to serve as the AEU Treasurer. Attached is the ratification meeting notice for the Successor Contract. A copy of the tentative agreement can be read under Bargaining Updates above.The meeting will be held at the Visalia Marriott on June 3rd. Details in the notice attached. Attached is the agenda for our AEU Conference which will be held at CSEA Headquarters in the Boardroom, beginning at 10am on Friday May 19th. The Conference is open to all AEU members, but release time if only provided to the Executive Board and Stewards. Dinner will be provided for all attendees, so PLEASE RSVP to Arnold Morin, Ext 1284 or email arnoldmorin@sbcglobal.net NO Later than Wednesday May 17th so we can have an accurate count for food. We look forward to a great Conference this year! Please see the new section on the menu above for 2017 Bargaining Updates! Meeting agenda is posted. Click Here to review. Hello everyone, AEU and CSEA have dates scheduled for re-opener negotiations as follows: September 8, 9, 19, and 20. If you have any questions please feel free to ask any bargaining team member. AEU has added a new section at the top of the page regarding the MobileIron Smartphone Application. On Sunday, November 8 members travelled to San Louis Obisbo and voted to ratify the recent salary agreement reached with CSEA. Congratulations to all who participated in this process! 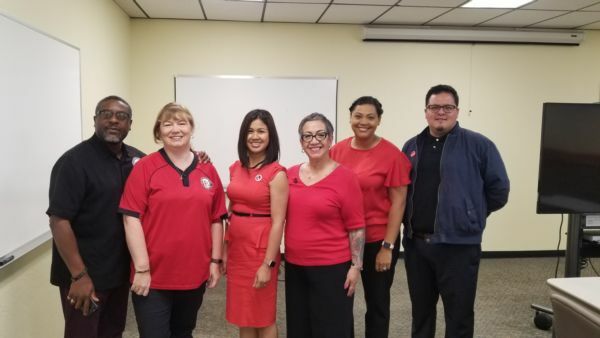 Recently, in accordance with AEU Bylaws, the Vice President South held two elections to fill vacancies for the Steward positions in the Rancho Cucamonga Field Office and the San Diego Field Office. Congratulations to Lisa Towery and Daniel Zummo who were elected by their peers to be the new AEU Stewards in their respective offices! All Executive Board members have retained their seats with the exception of President. Starting January 1, 2016 Valerie Hollins will be the president. When Valerie Hollins assumes the Presidency the Vice President-South position will open up. Congratulations to everyone who ran in this election. 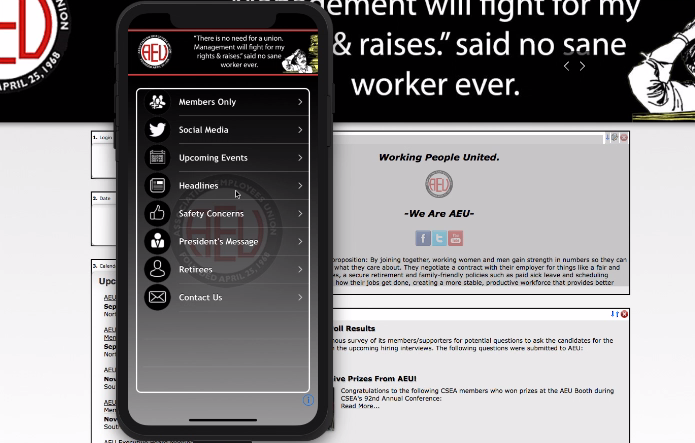 The AEU Website has been updated to be responsive to mobile devices. Rejoice smart phone users—your days of pinching and dragging are over! You can now access a mobile version of the AEU website that puts our most commonly used features in an easy to use mobile-friendly format. You can also keep up to date with the latest by checking our facebook and twitter accounts.